Archive. Services — WebTalkTo Montreal studio. In order to show, that we can and love to do, I decided to use concrete examples. Using example of Web Talk To and other works of mine I will tell about creation of Emotional Image, work with Graphics and development of Web Design based on this Image. First step is a creation of Emotional Image. When Emotional Image overlay on reality surrounding, concrete idea is born, which create a basis for Visual Identity of the company. Web Talk To me, you, us – is a verbal expression of Emotional Image. 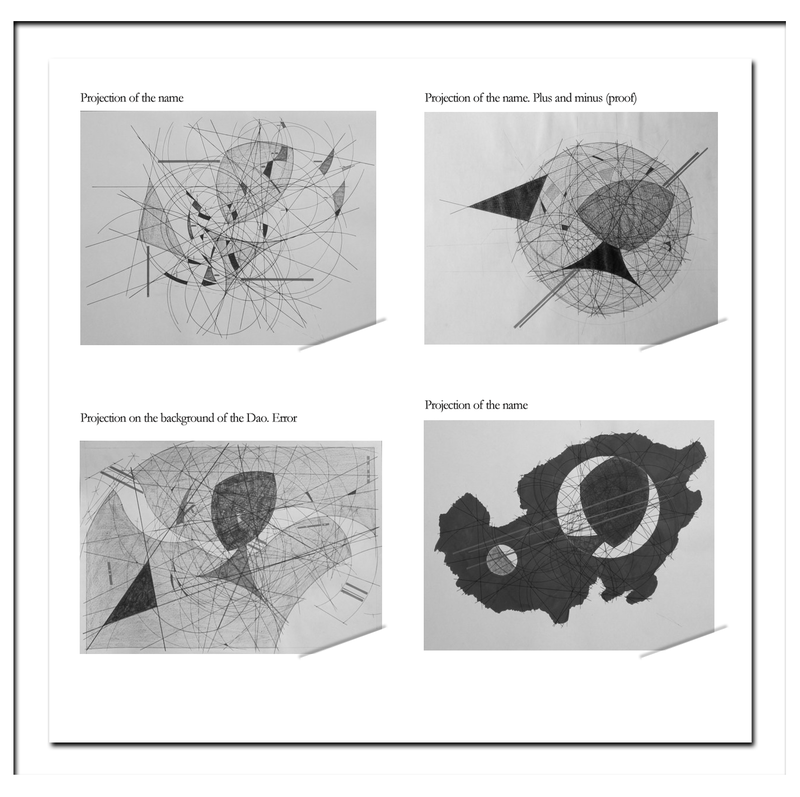 It should be noted that the Emotional Image have no clear boundary and the preference of one visualization by another depends on imagination of creator of the image and often known only to him. The main association is concept of communication, connection, dialogue. From an example it is visible that there is also other dominating association: text writing, reading; appeared from the fact that the main embodiment occurs online and therefore will be necessary both to write, and to read. Emotional Image creation is influenced above all by the relation of the client with surrounding reality. I prefer to build the concept, based on real and truthful. Such relation is a fruit of my life experience and he's showing that real (subjective) has a bigger impulse and better adapted for a survival. Identity, it's what distinguishes us from each other. To create a good Emotional Image, it is necessary to imbued with the essence of "client". When we analyzing the customer relationships with the environment and the environment with the customer the feeling (image) crystallizing, which becomes the main concept of the project. After the Emotional Image is created, we can start the design of this image on paper. Let's review the following example. In 2009 I worked over a graphic series devoted to my friend A.B. I took his initials for a basis. In this case Emotional Image already existed. When we communicate with the person, we have certain knowledge of him; this knowledge and Emotional Image are logically equivalent. 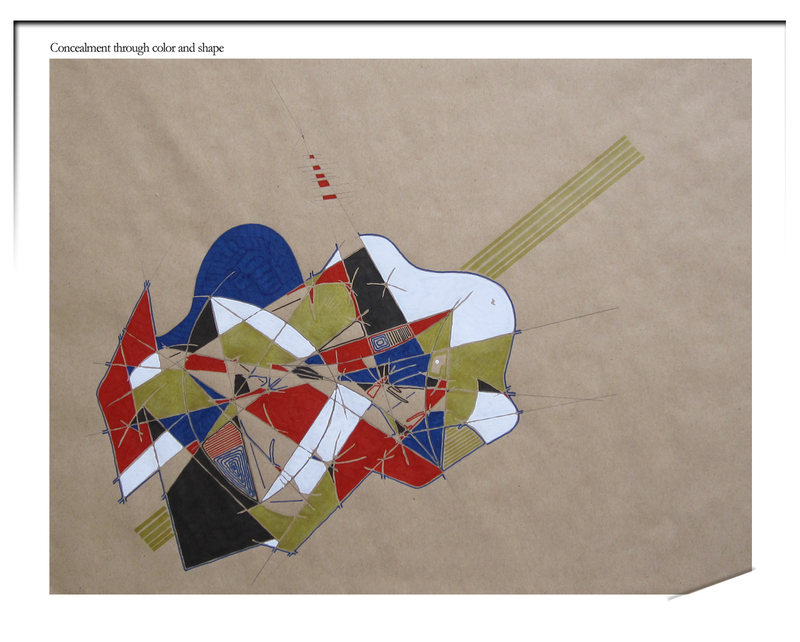 Preparatory work, it's preliminary search of a form and a sketch of ideas. 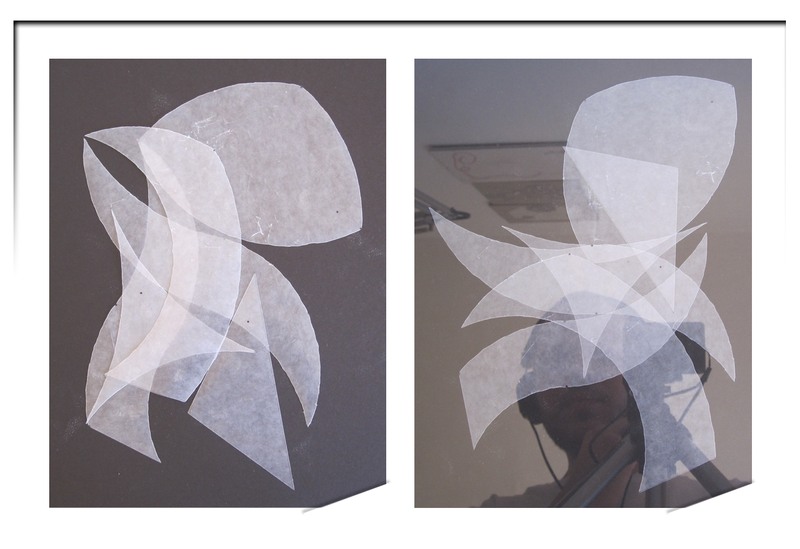 From transparent paper we cut out with scissors three figures. Let's design the emotion on the plane. Exact geometric form is combined with a creative rush. By moving our pieces on paper we find a suitable position. Denote the endpoints of the figures and using a straight edge, a pencil and a divider let's create a drawing. By using colors and emotions we hide our forms and create the new. Shapes not highlighted. 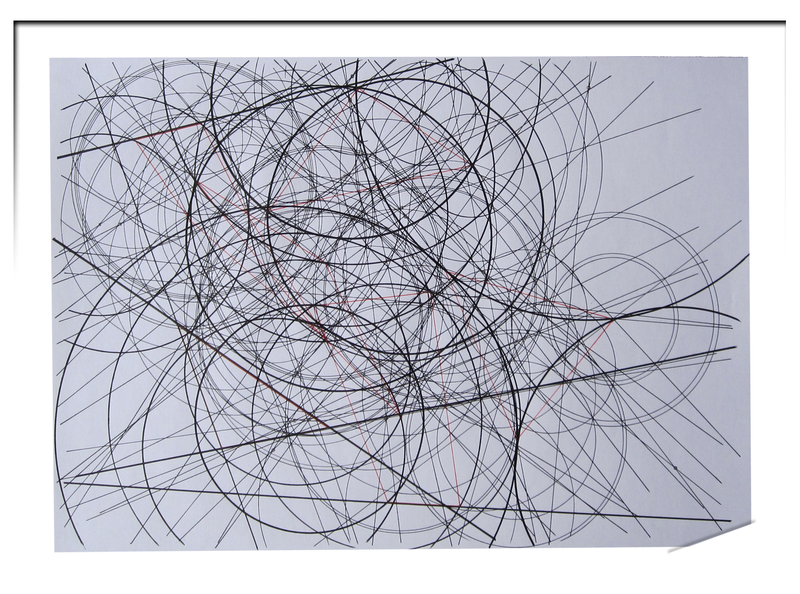 Figure contains all possible lines and circles. In principle, if you have good concept, you can even fart interesting. By moving the figures on the dark plane we find the necessary form. 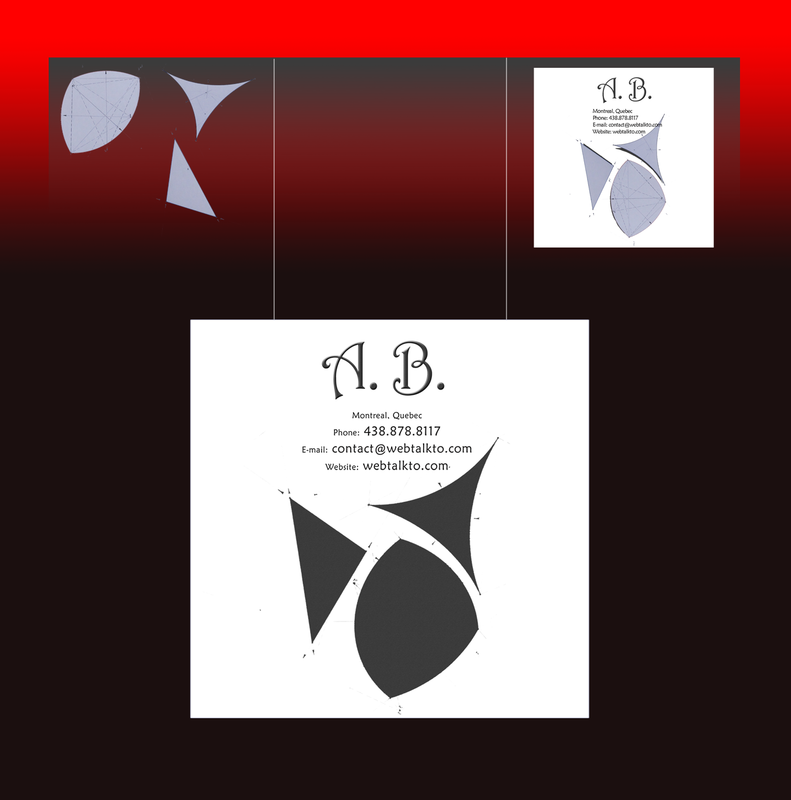 Now, as an example let's create a logo and business card for A.B. 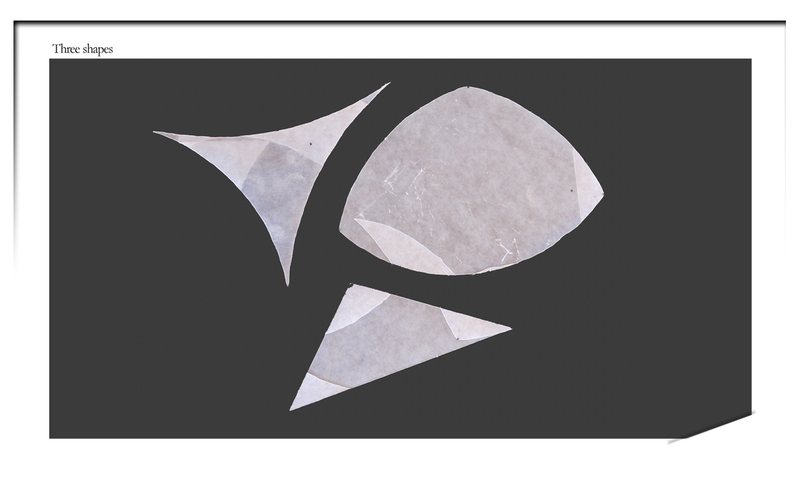 Obvious that both logo and business card will contain shapes that designed above. This is the look of digital matrix of the business card. The printed business cards will look differently because of paper and imposing of typographical effect. 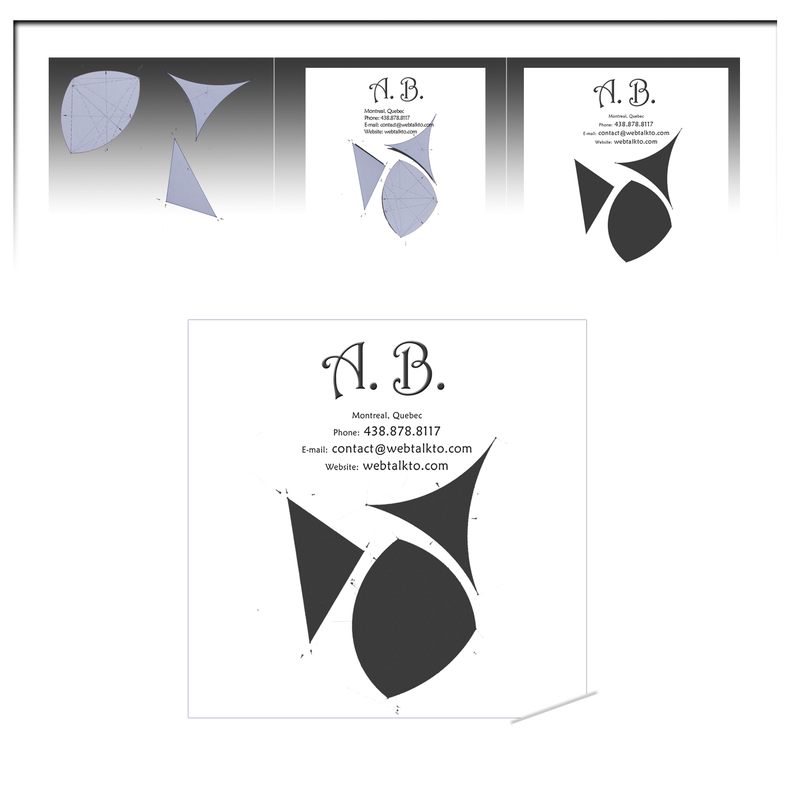 Approximate versions of the printed business card. Logotype. In this example it is logical to stylize logo as the human figure. First (in front) we will use the symbol A, then the symbol B. Finished logo and business card merged with one style. 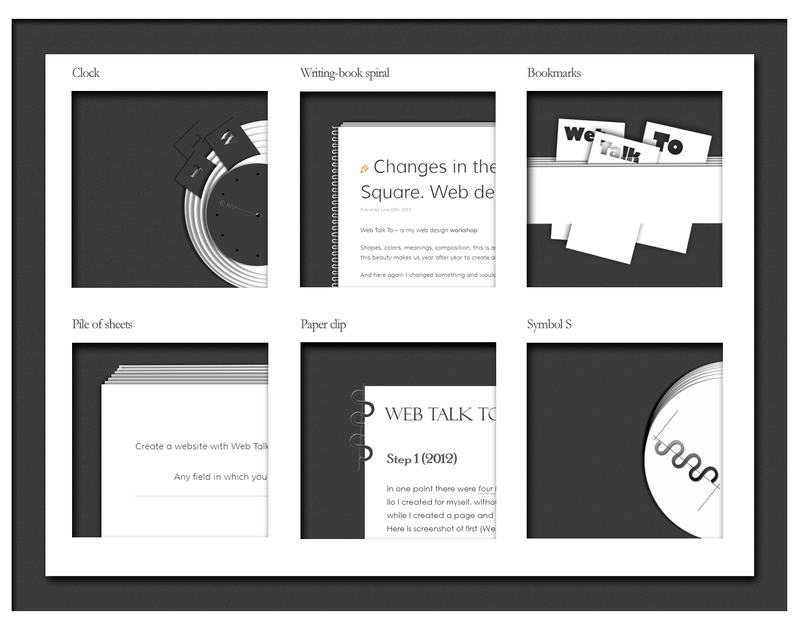 Development of Web Design is conducted according to the same principles of composition, as in Graphic Design. For creation of Web Design also requires: analysis, emotional image and concept. Website is one of embodiments of the company face. You might even say the most complete, because it contains all the attributes of the Visual Identity of the company, namely: Emotional Image, concept, logo, graphics and color scheme. Different sizes of monitors. Accordingly, preferred to use responsive design when building website. Features of browsers and also their versions. To properly fill a web resource with the content. That means to write correct descriptions for your pagess and to use title and alt tags for images. To watch a code validity that also raises security of website.